This past Sunday we continued our series through Genesis, looking at the life of Abraham and asking, “What can we learn about God’s work in the gospel here?” Our text was Genesis 24, the longest chapter in the book of Genesis. In this chapter, we see Abraham attempting his last great act of faith: finding a wife for his son, Isaac. In this narrative, we saw God at work extending his promises, establishing faith, and painting a picture in marriage. First, God extended his promises, not only to Abraham, but through him to the next generation of the family of faith. Abraham depended on the truth that God’s promises would outlive him. Although Isaac was to inherit all that Abraham owned, Abraham’s greatest treasure was the promises God had made to him. If God’s promises were to be inherited by the family of Isaac, Isaac needed a wife. Second, in order to pass on these promises, God established faith in the hearts of those who were to receive them. Faith was established through the testimony of those who had witnessed God’s faithfulness. 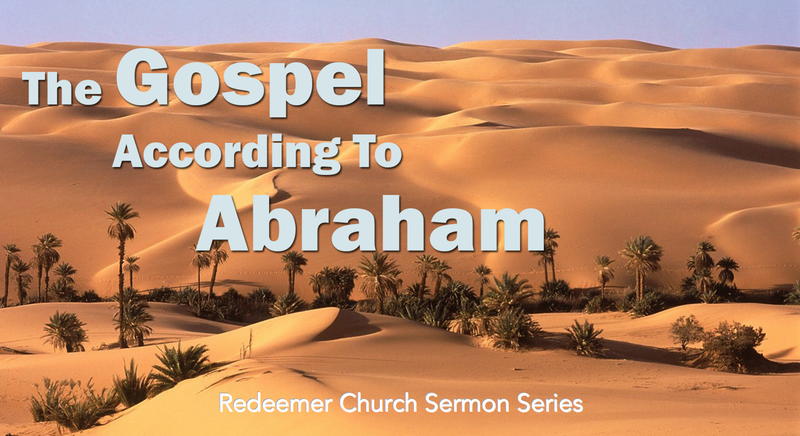 Abraham’s servant found faith as Abraham testified to God’s promise. Laban and Rebekah found faith as Abraham’s servant recounted how God had led him in his journey. Isaac found faith as Abraham’s servant recounted the way in which God had blessed his journey. This marriage was to be based on faith for the purpose of faith. Third, in bringing Isaac and Rebekah together, God painted a picture in marriage. Genesis 24 is the second major emphasis on marriage in the book, after the introduction of marriage in Genesis 2. Just as in chapter 2, God prepares a particular woman for a particular man, to come together in covenant relationship. The picture painted in this marriage has several facets. First, marriage is made up of a man and a woman, in a complementary relationship. The trajectory of marriage, described through the narrative of the Bible, never varies from this understanding. The second facet of this picture is that God’s redemptive plan will be fulfilled through the fruitfulness of his chosen people. The barrenness that both Sarah and Rebekah faced, served as an obstacle to God’s promises being fulfilled. The simple biology of a man and a woman coming together in believing marriage became the means by which God overcame this obstacle. The third facet of this picture is that the marriage of Isaac and Rebekah points us to the relationship between Jesus Christ and his church. Paul points out, in Ephesians 5:31-32, that marriage is a present human picture of a future divine reality. Just as Genesis 24 culminates in the moment when Isaac and Rebekah see each other for the first time and enter into marriage, so the culmination of history will come when Jesus and his bride, the church, are brought face to face at last. This all suggests several things for us to consider. In light of the truth that God’s promises will outlive you, how are you living, and praying for, and relating to the people around you? In light of the truth that God has ordained that his sovereign gift of saving faith will come to grow in the hearts of people through the testimony of others who have experienced God’s faithfulness, how are you communicating God’s story to people you know? In light of the truth that God has made marriage to be a picture of Christ and the church, how are you considering and/or pursuing marriage in your own life?